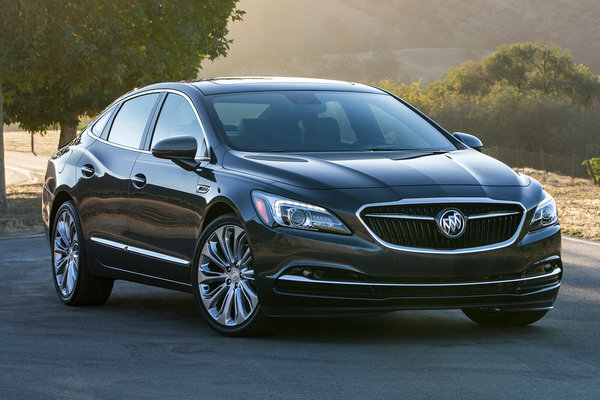 The Buick LaCrosse is a large five-passenger sedan similar in size to Chevrolet Impala, Ford Taurus, and Toyota Avalon. At 197 inches long, the LaCrosse is about 7 inches longer than the next largest Buick, the Regal, yielding significantly more leg room. All LaCrosse models are powered by a 3.6l V6 engine rated at 310-bhp. For those in the snow belt LaCrosse is available with all-wheel-drive. The LaCrosse is priced higher than other models in its segment. The 3rd generation LaCrosse has grown by 2.7 inches in wheelbase and shed weight. Power from the 3.6l V6 is up to 310 bhp. Pricing has increased by $1000 or more across the board.